The Finnskogen, a 32-kilometre green belt along the border of Norway and Sweden, is roughly translated to mean “the forest of the Finns.” The remote region, in Norway’s Hedmark county, was once home to Finnish migrants who, between the 16th and 17th centuries, settled the area, turning swaths of it into farmable land. While the Forest Finns had their own distinct culture and language – the now-extinct Savonian Finnish – the group would eventually assimilate into the Norwegian and Swedish populations. But reminders of the Savonian still remain, including a museum called Finnskogens Hus, or the Museum of Forest Finn Culture. The Museum of Forest Finn Culture, established in 2005, is located among historical structures in Svullrya, Norway. 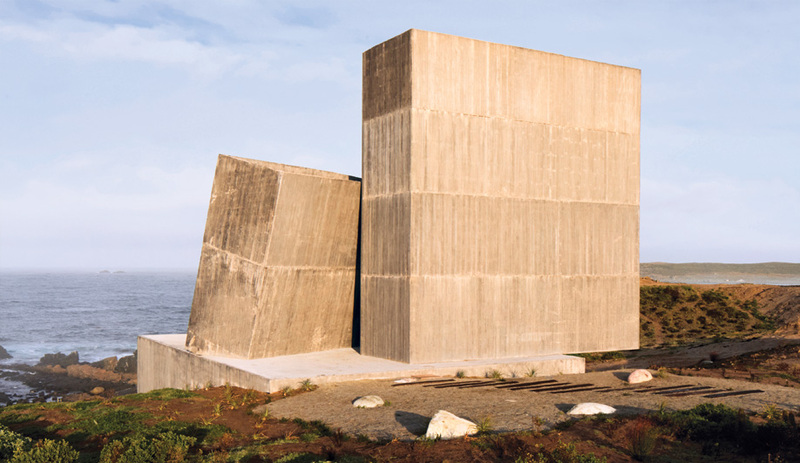 It owns extensive archives, books and more than 350,000 artifacts – but is spread over multiple buildings, which are ill-equipped to display, store and preserve materials. 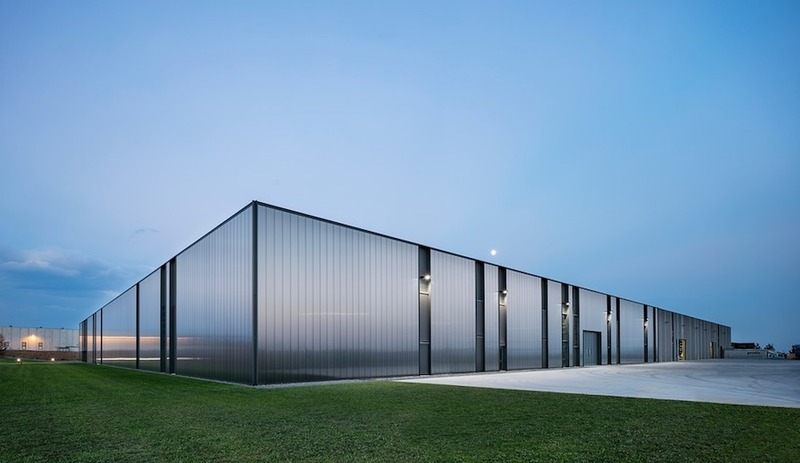 A gallery space, an archive, an auditorium, a library, café and reception centre currently sit on site; the museum wanted to combine all six under one roof. 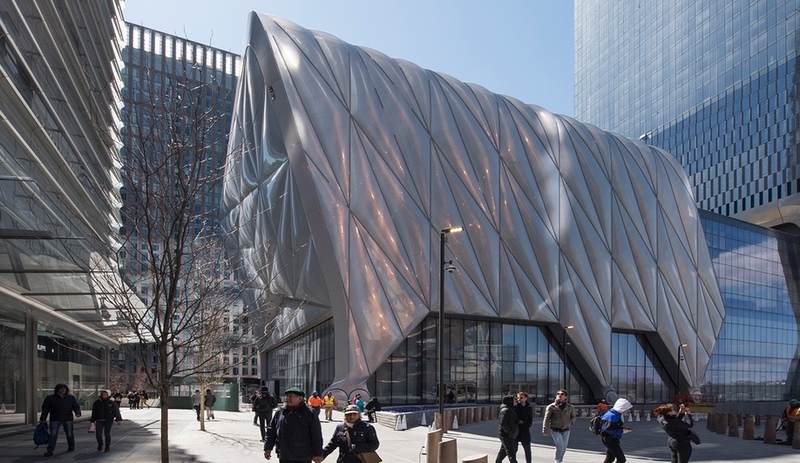 So it launched a contest to design a new museum. 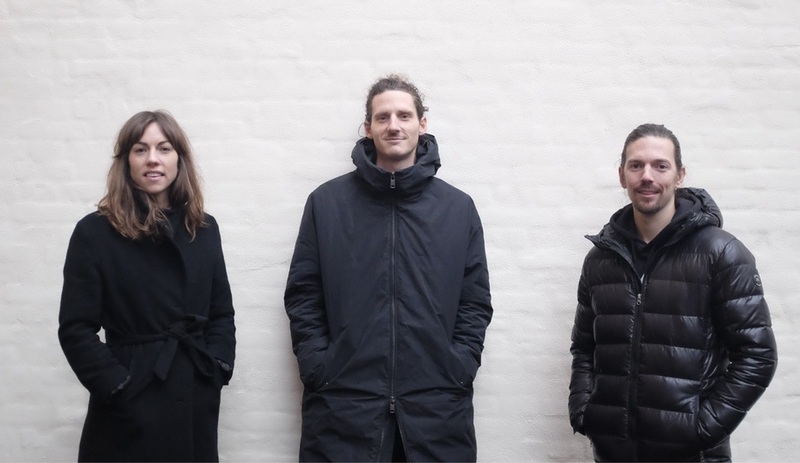 A young Copenhagen-based firm named Lipinski Lasovský Johansson developed the winning concept (along with Italian architect Andrea Baresi), which aims to merge the built and natural environment. 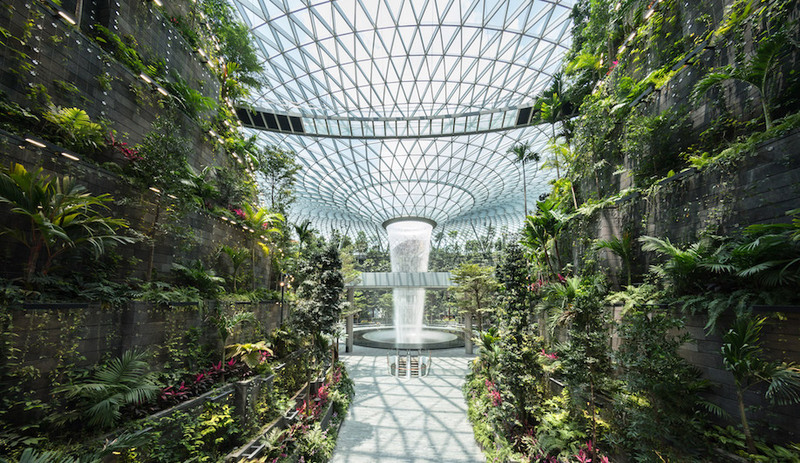 The museum was planned to create “a symbiosis between nature and the building.” Built on a sloping site, the building maintains clear viewpoints of the forest; each of its public areas faces east, towards the river. Its green roof is gabled, providing a visual link to the site’s preexisting buildings (which orbit the museum, above). 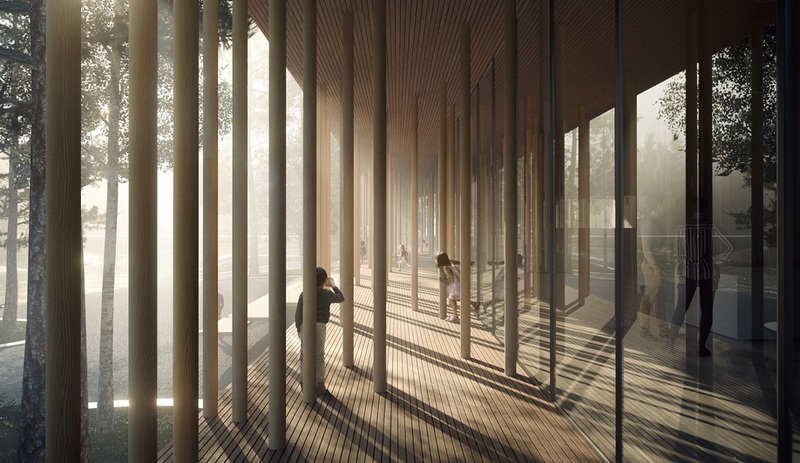 As visitors approach the museum, they’ll be greeted with floor-to-ceiling glass windows shrouded by timber pillars. 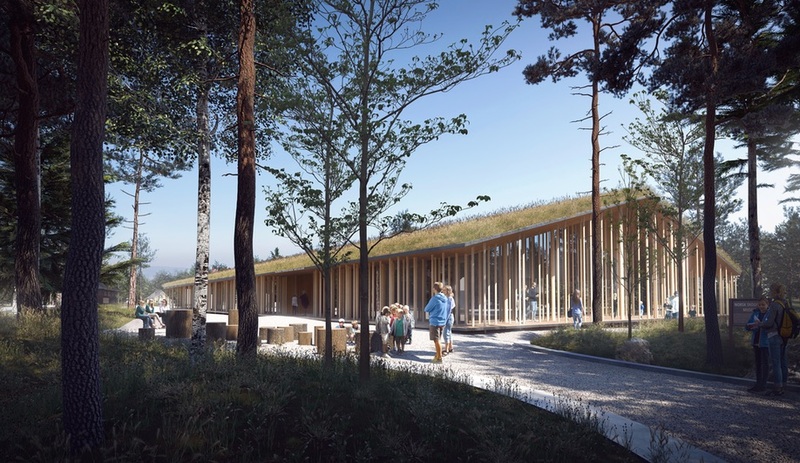 The columns part at The Museum of Forest Finn Culture’s entrance – evoking the image of a glade – leading to a reception area flanked by a café and a library. Light trickles in through generous skylights (below), which mimics the smoke hatches Forest Finns used to ventilate their buildings. 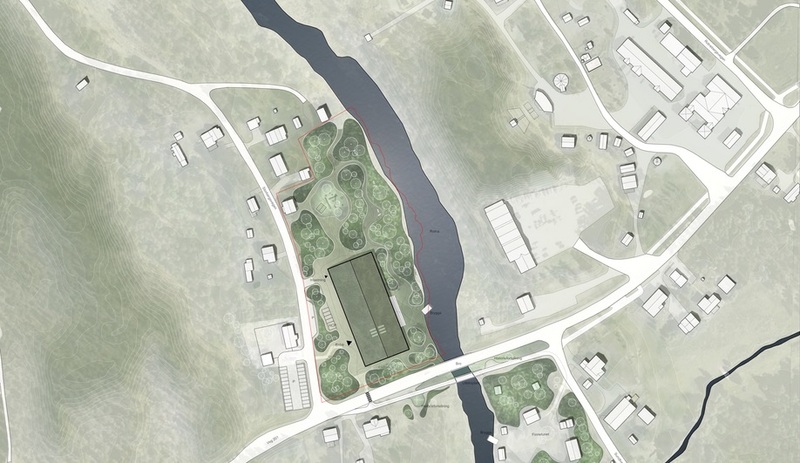 Venture further, and the building has two areas – for permanent and rotating exhibits – facing the river. A hallway separates the gallery spaces from the museum’s archives and auditorium. As a museum honouring Forest Finns, the material choice was obvious: wood is used everywhere, for both structural elements and interior design. 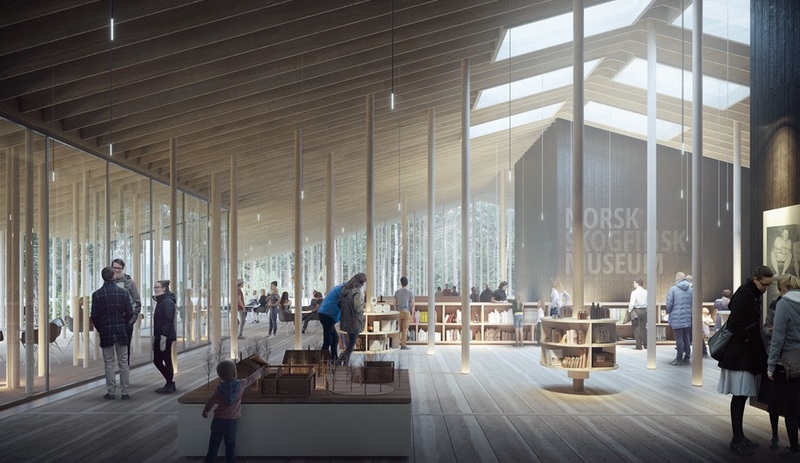 The museum will feature charred wood in parts of the museum as a nod to the Forest Finns’ practise of slash-and-burn agriculture, which involves burning vegetation on a plot of land, leaving behind nutrient-rich ash. 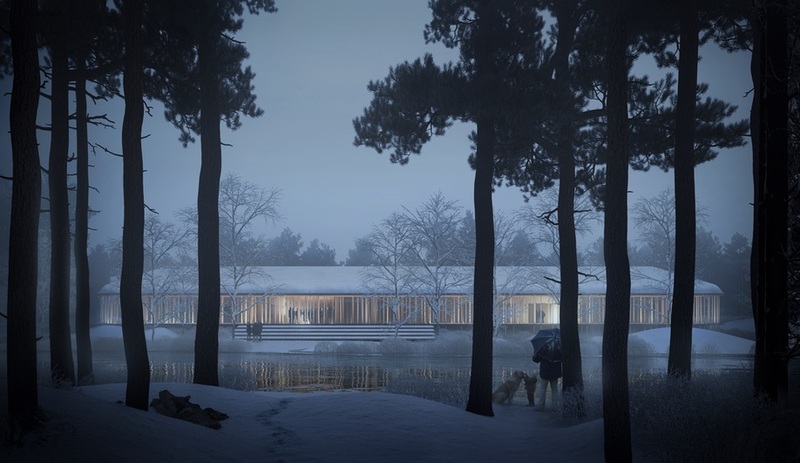 The arable fields are long gone, but this project will serve as a poetic monument to the Forest Finns for years to come.